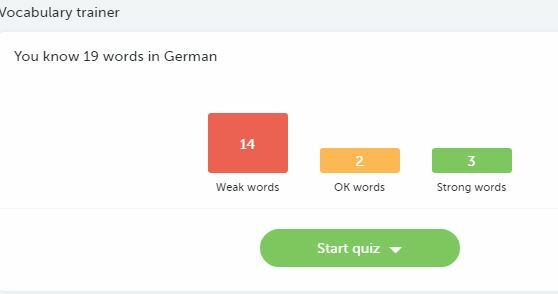 Busuu Review – Learn 12 Different Languages with a Modern and User-Friendly Language Game! Today we are going to take a closer look at the language learning game called Busuu. It has been around already for years and during the last years, its interface has dramatically changed. Nowadays they offer a modern and user-friendly way of learning a new language. In this article, I will show what kind of features they offer and what is my opinion about Busuu. Price: Free to Join. Premium Membership Starting from 0,12€/day. Busuu is a language learning game and community that you can speak a language in 10 minutes a day. You can study at the moment 12 different languages including Chinese, Japanese, Arabic, Turkish, Polish, Spanish, French, German and so on. In the picture below you can see all languages what they have available. Busuu is based on the same idea like other language learning games: Learning languages should be fun and easy. I think that they have achieved that purpose very well. First, you sign up which takes less than 15 seconds. You can also connect with your Facebook or Google+ account. Then you are ready to start language learning and take your skills to the next level. Then you choose what is your current level in your target language. They are using European Standard levels A1, A2, B1, and B2. Even though you choose, for example, A2 you can go through all lessons from A1 as well. Busuu shows how many minutes each lesson approximately takes. Okay, now I want to choose my first lesson. Let’s have a look how it looks inside the lesson. There are several sections inside the lessons. Each of these parts teaches you the language with different ways. You will learn new words, listen to the pronunciation and write/speak the language yourself. Here is an example of dialogue lesson in Busuu. Busuu Dialogue Lesson. Fill in the gaps. In this section, you can see and hear the conversation between Josefine and Reiseberater (Trip consultant). There are white boxes where you need to choose the right word which is missing. You can drag & drop the or choose it by clicking the right word. In this part, you will hear and see the new word. Below you can also see an example sentence where this new word is used. When you have gone through all the new words, it will give you exercises where you need to use the word that you have just learned. In Memorize and Quiz section Busuu will test your skills and learning during the past lessons. The great thing with language games like Busuu is that they show your progress in numbers. Many times it’s hard to measure how fast you are progressing with your target language but if it’s measured in words and numbers, it makes tracking much easier. An example how Busuu shows your progress. 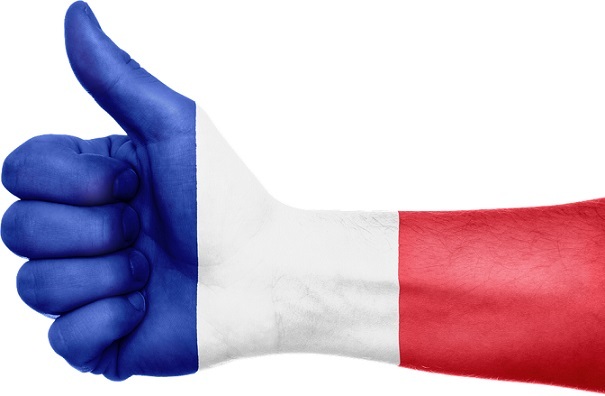 Busuu has also a community of language learners where you can help others and they can help you. You can practice your writing and speaking skills and other members can give you feedback. In the picture above you can see what some language students have already written and you can give them feedback. If you are a premium member you can also connect with other members by having conversations with them. 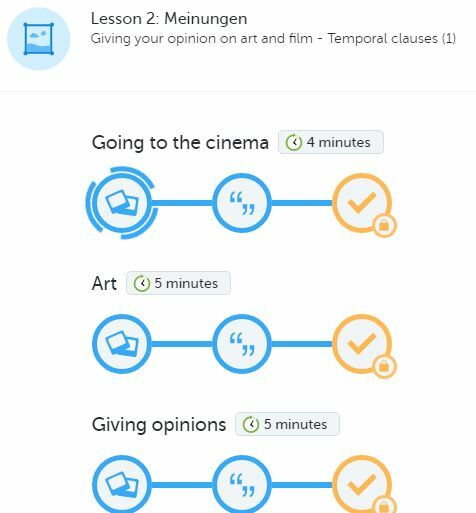 If you want to connect with other language learners for free, I recommend having a look at Italki. It’s my #1 recommended language learning community. All of the Busuu lessons are not free. They have a free version and a paid version just like LingQ and Babbel. Duolingo is exceptional because their language game is completely free. However, some people say that it’s not as good as paid language learning games. In the picture below you can see details of Busuu Premium. There’s also an interesting fact that 22 hours of Busuu Premium equal to 1 college semester of language study. I believe it’s totally true. I have learned languages much faster by playing these games rather than sitting in the boring lessons. 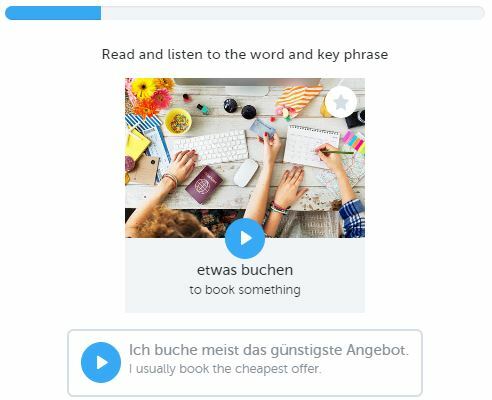 Busuu Premium offers, even more, resources for language learning. The price starts from 0,18€/day. NOTE: It seems that sometimes Busuu offers 30% discount on all premium membership plans. Then the cheapest plan costs the only 0,12€/day. 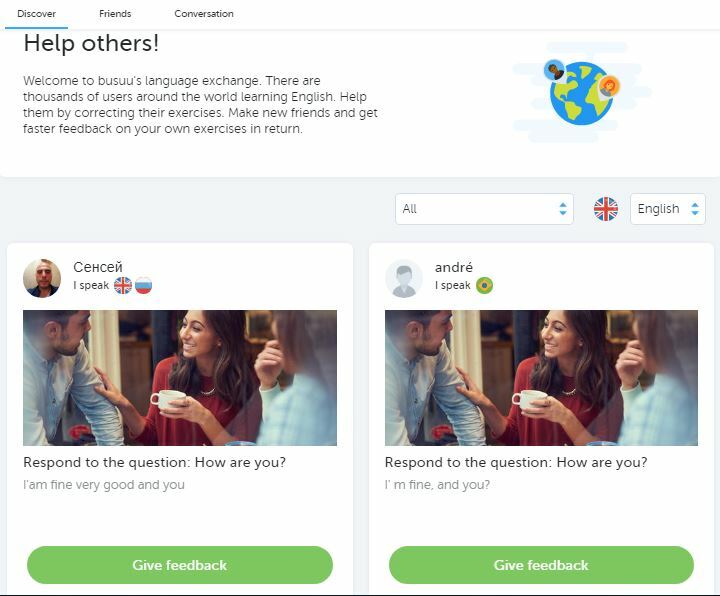 Conclusion – Is Busuu a Good Language Learning Site? In my opinion, Busuu is a great way of learning new languages. Already in their first lesson, I learned a couple of new words. 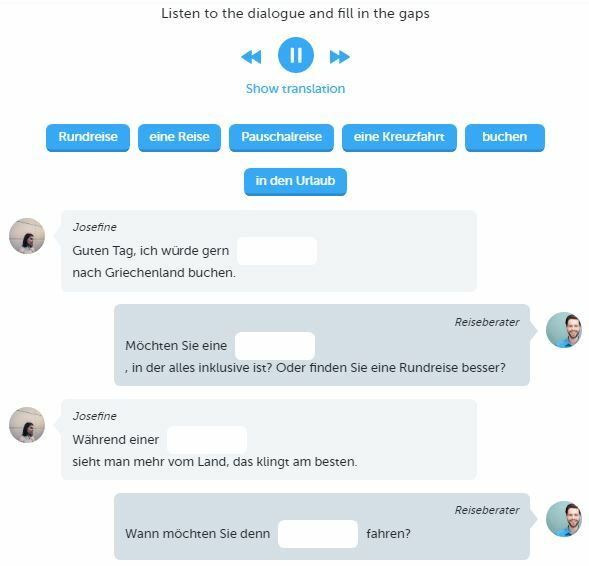 Their platform is very intuitive and easy-to-use so even inexperienced computer users are able to use it for their language learning. They also provide a mobile app for Android and Apple phones. You can use it when you are connected to the Internet or you can download the offline version if you are a premium member. Have you ever tried Busuu? What kind of experiences did you have? I promise to reply to all of your comments and questions below because I love it when people interact and share their ideas on our website. Thank you for introducing me to Busuu. I have attended some classes that teach you foreign languages. Now, I probably don’t even need to attend classes. Busuu might just be enough. I know some programs that allow you to learn really fast, and some that do it slowly. On average how long does it take to learn the basics of a language? yeah, nowadays you don’t need to attend classes in order to become a fluent in a foreign language. 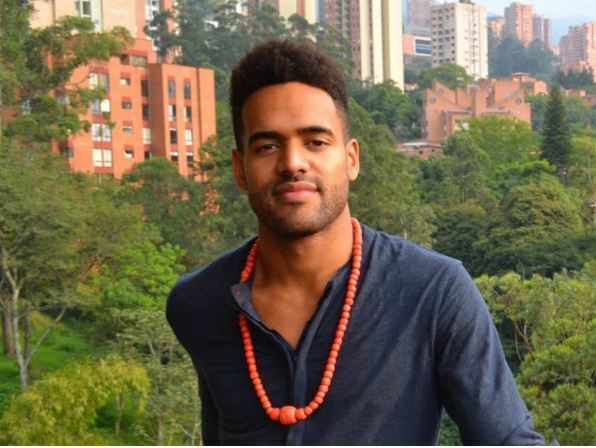 Benny Lewis become fluent in more than 10 languages without having formal classroom teaching. Before that he had tried to learn languages by sitting in the classroom but it didn’t work for him (and I think it only works for few). To your question: It depends what do you mean with basics. I think that greetings and basic small talk phrases you can learn in a week or two. Then you can have conversations with 1-2 months of intensive studying. 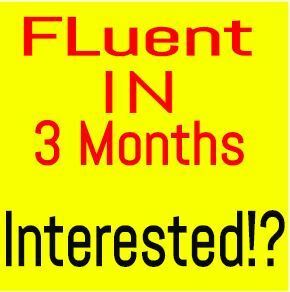 And I think you can speak a new language fluently in 3-6 months if you have been studying intensively. Of course, that kind of speed requires intensive studying but it’s possible. With one or two hours per week it can take years. First of all it is amazing that through the Internet and social media comes the opportunity for one to learn how to speak another language. It is certainly not something that even 10 years ago would have been possible. I know that for years at least here in the U.S. the most popular program, teaching people how to communicate in a different language was through something called the Rosseta Stone. And that program definitely was not offered online. As I went through your review, (well written and concise as usual) it began to dawn on me – you mean all of this could be done for free? No way, I stated to myself! And then about two-thirds of the way in you described the differences offered between the free versus paid courses. I went online to a site to get the conversion between the Euro currency and the American dollar. The price listed per day for one to take a course for 6 months really is quite reasonable, .31 Euro. In American money it works out to around 34.5 cents per day. Having never taken any of the Rosetta Stone courses I do not know how the Busuu program would compare considering all that would be offered. I’m not quite sure why this company still has not designed courses yet for fluent speakers. The reason why I say this is that while a person might be able to speak a language fluently, is no guarantee that he/she could read it well. This fact is revealed by a few Puerto Rican individuals who I personally knew about 15 years ago. These women were fluent in speaking both Spanish and English. Since they were born in the U.S. the anomaly was that while they could speak Spanish well, both could not read the language at all if given an article or book to try and decipher. They could read in English. Still it is quite obvious by your review that the Busuu program is quite legit. nowadays Rosetta Stone is also offered online but I think that programs like LingQ, Babbel and Busuu have just so much better price/quality ratio. Rosetta Stone is a good program but they charge much more than other similar programs out there. That’s an interesting point what you said about Puerto Rican immigrants. I have also seen some refugees in Finland who speak it fluently but can’t write it. Thank you for this review! I am a homeschooler and we have been using Duolingo but I think we may have reached the peak of what we can learn on it. It is great for beginners but quite basic. We have tried Rosetta Stone in the past and it is great but SO expensive. I am excited to give Busuu a try! Thank you for such a comprehensive review! You have a fantastic website. I will definitely be following you. you are right that Duolingo works the best for learning the basics of the language but it doesn’t make you fluent. It’s the best when you are starting out. Thank you very much for the positive feedback. I will keep on improving my website regularly. If you have friends who are interested in learning languages, let them know about my site as well. Probably they can have a big benefit also. Since the program supports the language I want to learn, I am interested in trying this language learning game. I will be paying only when I am using the program. you can get Busuu for completely free. However, they have premium memberships that cost even as low as €0,12 per day. However, the shortest billing cycle is one month. It’s like a few euros per month. I calculated the cost for each day. Hi Roope, I want to learn swedish. But I am a bit confused about which language application is better. Which do you recommend busuu or babbel for learning swedish? Which teaches language deeply? both of the are great. I think it’s more the question about your personal preferences. If I would pick one for you, I would recommend LingQ. It’s created by Steve Kaufman who speaks 16 languages. He has used the app for learning many languages himself. You can also try all of them and choose the one that is the best one in your opinion. All of them are great and have own strengths. This game is perfect for me because I like games. And also I think I can learn more in playing games. All languages that I want to learn is already here. Thank you for this blog. Because I am finding a game that will teach me to speak other languages. Wow seems so new idea to me, a language learning game and this is interesting. You will learn at the same time enjoy playing. What is really best is it offers a lot of languages to learn and most of languages that visitors wants like me is there already so there is no need to find any other. Great recommendation Mr. Roope and thank you for that. Yeah, they are offering the biggest languages in the world so that’s good. Another language learning game called Bliu Bliu covers even more languages. I like playing games so learning with tools like Busuu or Bliu Bliu is fun and profitable at the same time. I’ve been a Busuu member for many years now and I have mixed reviews on that site. Advantage can be that you could learn for free since it’s language exchange service type of learning. 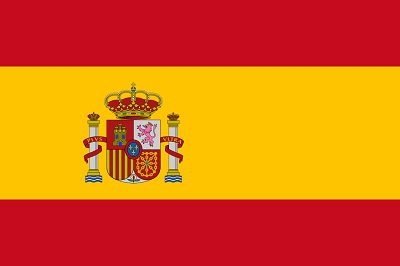 I teach English to learn Spanish. The disadvantage here is that some members use it for dating purposes, defeating the real root cause why they signed up in the first place. Haha that’s interesting. Well, I don’t see a big problem if some people use it for dating. You can meet people on language learning communities as well as on any other place. Busuu is pretty cheap tools. It course about 0,19€ per day if you buy a yearly plan. I think that Busuu itself won’t make you fluent but it can be a great tool among others. Hello, what do you think is the best way to complement Busuu? I’d like to start learning english 2-3h per day using this platform. I’d like to know what other sites or resources I should use to improve my english skills in few months. I recommend Fluent in 3 Months by Benny Lewis for anyone who is interested in learning languages fast and easily. Then if I were you, I would choose an interesting subject on YouTube and watch those videos in English. Then you’ll combine 2 benefits at the same time: 1.Language learning and 2.Your passion.